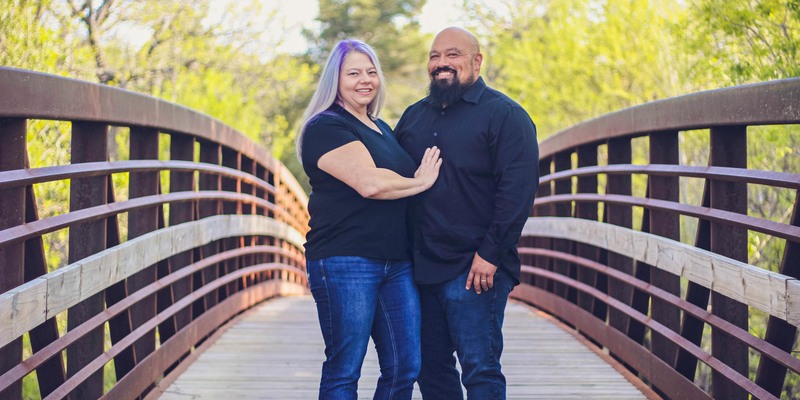 Cheri and Jason Miyashiro used to weigh more than 350 lb. each. Now, they teach people to deadlift that much and more. 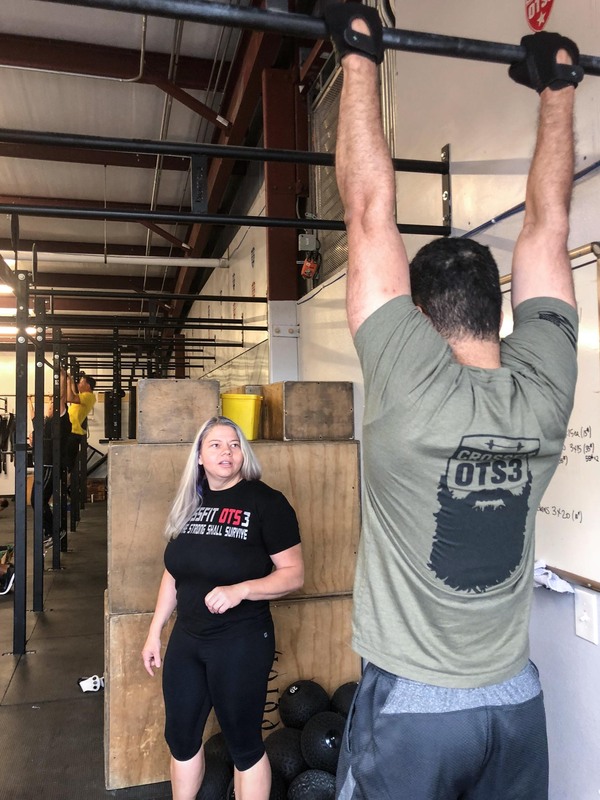 Ten years before the couple opened CrossFit OTS3 in Fort Worth, Texas, both had high blood pressure. Jason was prediabetic and Cheri took insulin for Type 2 diabetes. Jason carried his bulk on a 5-foot-7 frame; Cheri was 5 foot 4. “My diet was so bad and I was so unhealthy my body basically mimicked what happens when you have fibromyalgia,” Cheri said. Symptoms of fibromyalgia include chronic muscle and joint pain, fatigue and sleep problems. “They kept giving me more pain pills for it. And I lived with rashes all the time, all over my body. My hips always hurt, even when I walked, and I just felt old,” she added. She was 33 at the time; Jason was 34. They tried different diets, but nothing seemed to stick, Jason said. At one point, he considered gastric bypass surgery. Before CrossFit, the Miyashiros thought cereal and diet soda were staples of a healthy diet. “I even visited a weight-loss doctor and was taking appetite suppressants for about three months,” he said. Though they remained overweight for years, the Miyashiros thought they were making decent lifestyle decisions. Jason went to a globo gym three days a week and regularly attended spin classes. He drank diet soda—often consuming 32 oz. a day—thinking it to be a healthy choice because it had no calories. For breakfast, the couple often ate sugar-infused yogurt and bagels with bacon and eggs or opted for cereal or granola with milk. “We would give our kids cereal for breakfast, too. We thought it was healthy,” said Cheri, who remained overweight for years despite working out regularly. “I paid $600 a month for a whole year for a trainer at one point but didn’t see big results,” she said. The big results wouldn’t come until they started CrossFit. Jason discovered CrossFit in 2008 when a friend from spin class took him to County Line CrossFit in Fort Worth, Texas. “I remember doing banded pull-ups in (the thickest) band you can use, and we did some box jumps and push-ups, and it destroyed me,” he said. After a decade of CrossFit, Cheri Miyashiro (left) has lost more than 160 lb. and reversed her Type 2 diabetes. Though it was difficult, Jason stuck with it—he had a feeling CrossFit would help him more than spin classes had. He lost 34 lb. in six weeks. A few months later, Cheri started CrossFit, losing 20 lb. in addition to six inches from her bust in her first six weeks. Her progress didn’t stop there. Three years later, in 2011, Cheri’s doctor took her off insulin. Today she weighs 190 lb., her hips no longer hurt when she walks, and her blood pressure is normal. Jason, now 219 lb., also has normal blood pressure and is no longer considered prediabetic. Both say they’re still getting fitter in their mid-40s and agree that their lives have improved significantly. Nutrition, she said, had been the missing link. About a month into CrossFit, a coach introduced them to the Paleo diet. They eliminated refined carbohydrates such as bread and pasta and avoided sugar and processed foods—including diet soda—altogether. Eating whole foods—mostly fresh meats and vegetables—became their new way of life, Jason said. Today, their healthy lifestyle has rubbed off on their children: four boys aged 14, 17, 20 and 23. Their youngest son is into Olympic weightlifting, and the other three wrestle. “Our kids eat healthy now, too. We don’t have bread or pasta in our lives, and neither do our kids. We have a lot of vegetables. Jason does these roasted Brussels sprouts with bacon or garlic with asparagus. Or we’ll have chicken salad, or we’ll grill chicken or do pork loin in the smoker. Those are some of our staples,” Cheri said. 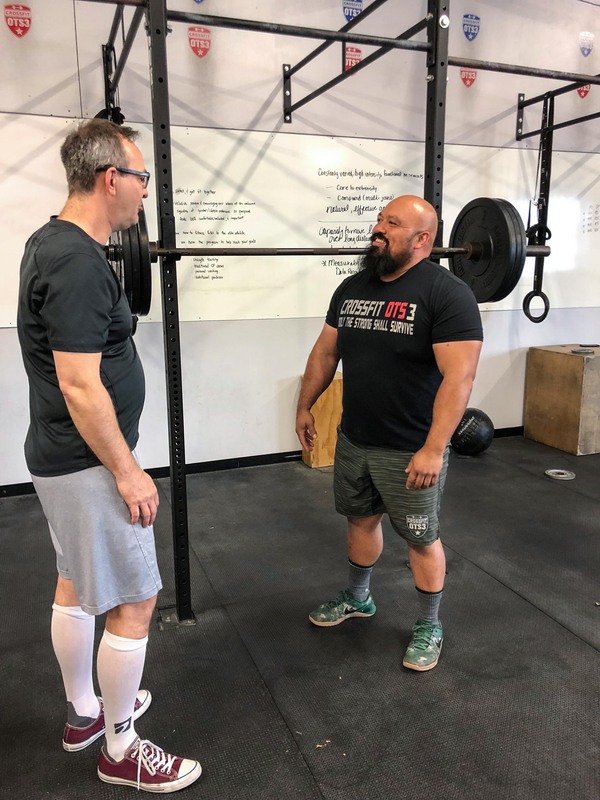 After losing more than 131 lb., Jason Miyashiro (right) dedicated his career to helping others cure chronic disease and get fit with CrossFit. 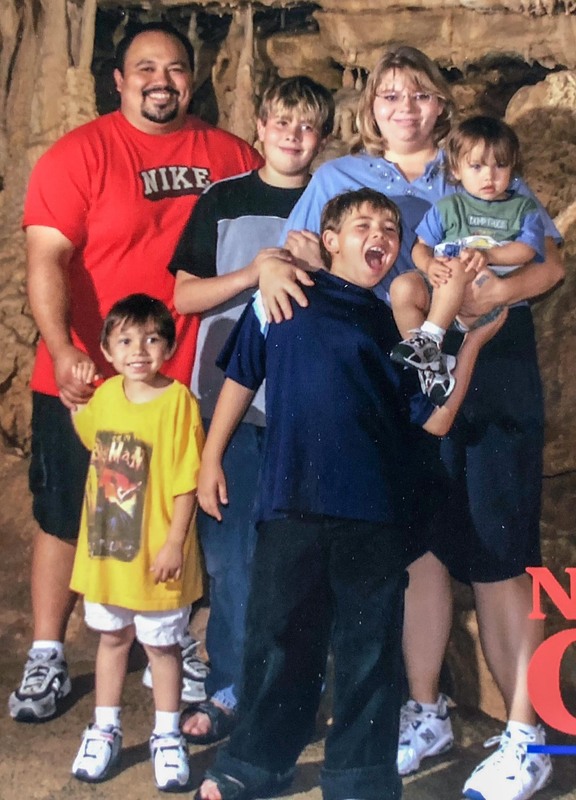 After three years of CrossFit and healthy eating, the Miyashiros decided to help others make the same changes that had improved their lives so much: They decided to open their own CrossFit affiliate. They started small, opening their garage gym at home to a handful of members. In September 2012, they moved to a commercial facility. Today, CrossFit OTS3 is home to almost 100 members and seven coaches in addition to Jason and Cheri. Their transformation is a source of inspiration to many. Still, the Miyashiros haven’t forgotten where they came from. Working with the unfit, sick and overweight—as they used to be—remains their top priority, Jason said.